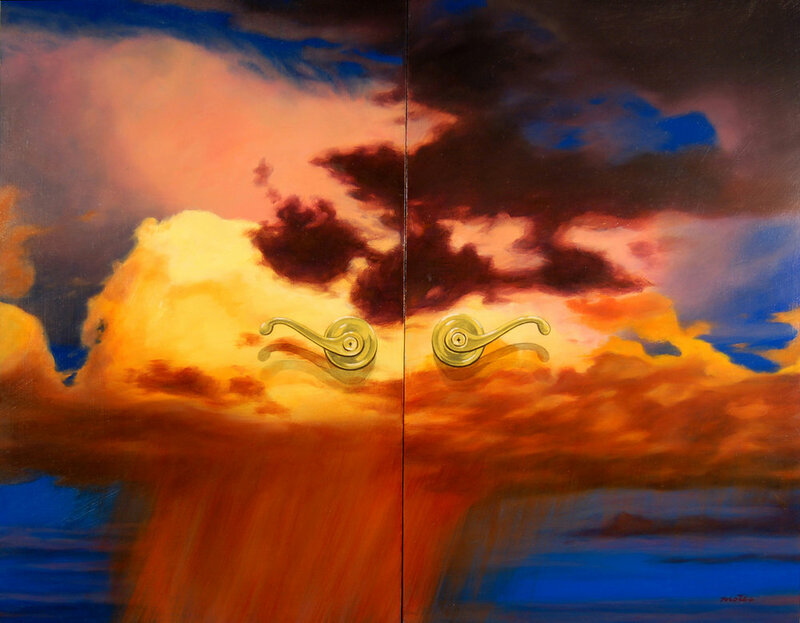 The Heaven's Door Series was inspired by the question of the existence of heaven. 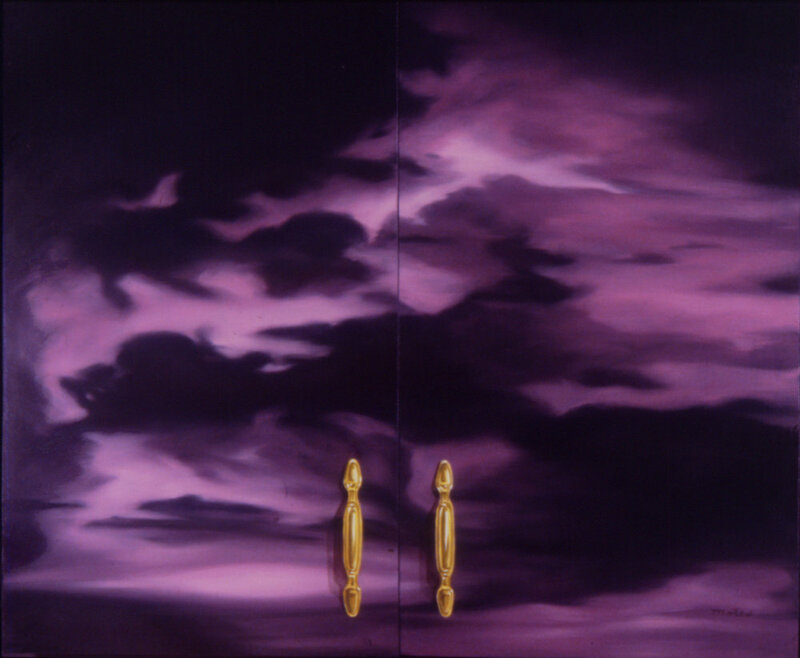 Is it in another dimension, beyond the universe or only an imaginary place? 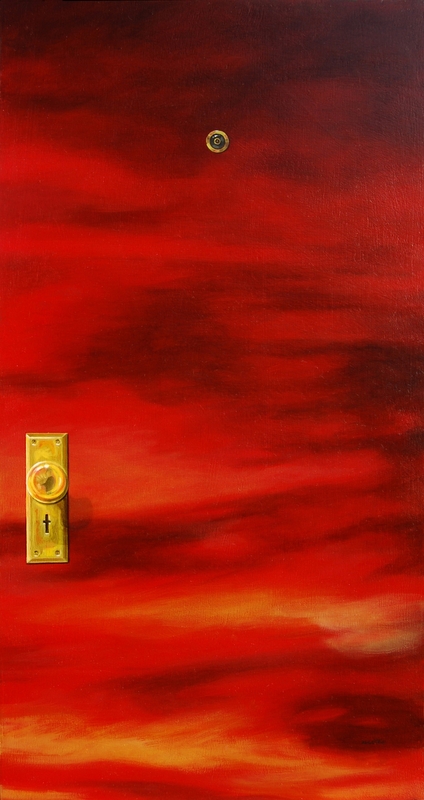 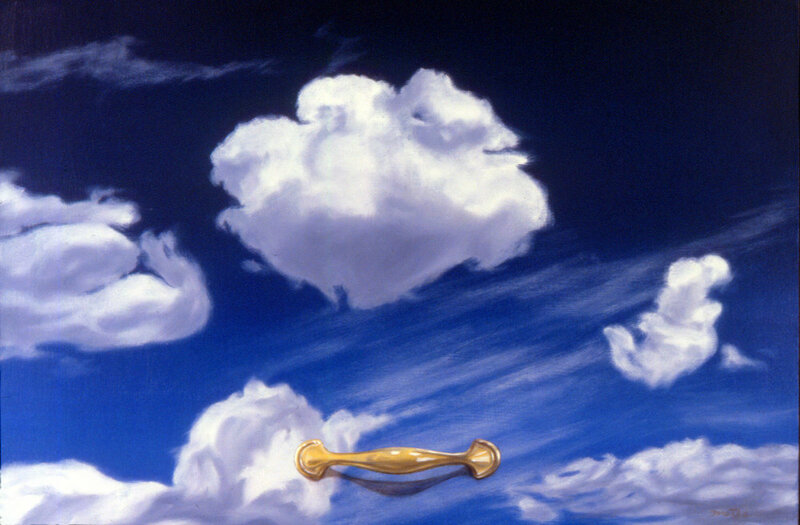 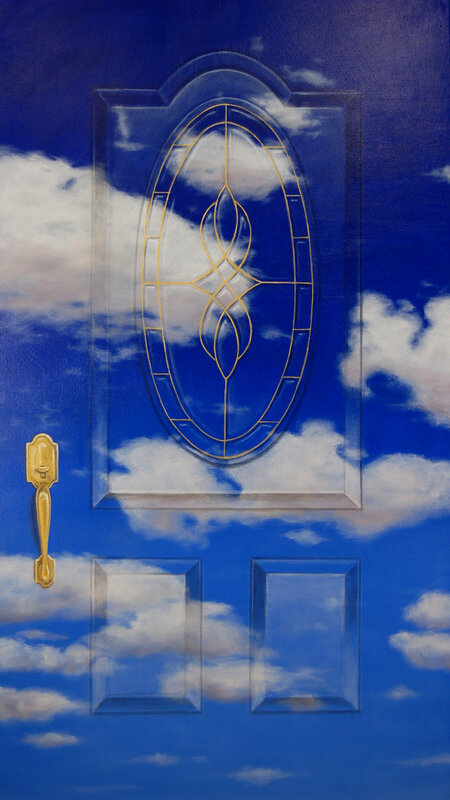 I believe heaven exists, so I paint images of skies with "trompe l'oeil" door handles as visual doorways that suggest heaven is a tangible place accessible with the faith of a child.